Just a quick heads up for those on here who attended in 2016. The show has changed its name and moved to mid summer. I have started the ball rolling on MR2OC - LINK. Last year the clubs joined forces on a single pitch, so it makes sense to do the same again. The sooner we can get a reliable indication of the total number the better. Hopefully we can get a pitch nearer the paddock & trade stands this time. The last two years out in the boondocks between Bobbies & Tower made for a very long walk! It's early doors atm and I'm awaiting some further information from the organisers at Combe. Will post an update when I have their response. I have had a response from the organisers at Combe. Anyone who definitely wants to be at this event please post up asap and I will send a PM with the booking info. If you want track time you'll need to get a wriggle on as places are already going. When booked and paid post again to confirm. Posted: Wed Mar 01, 2017 10:47 pm Post subject: I'm interested..
Posted: Fri Mar 03, 2017 12:10 am Post subject: Re: I'm interested..
Get them to post up on here. I'm going and so is Lukee but we're parking with the general public so we don't have to arrive at stupid o'clock in the morning. Where is everyone? Distinct lack of uptake atm. Im def up for this. Plenty of tracktime still left too. Will be paying end of month. I have been asked by the orgainisers to tell them how many spaces we want. So if you have already booked and paid I need to know asap please. If you haven't and still wish to attend, you need to PM me pdq for the reference code! Will be booking tonight for 2 cars. Myself and my dad. 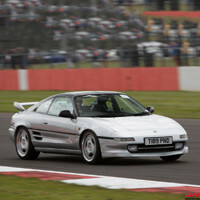 Even though my dad is not a member of any clubs (he doesnt do computers) he has an mr2 so would it be ok for him to come on the club stand? I will also be booking a couple of track sessions probably around the morning or lunchtime and would be interested to know if anyone else is on track as be good to be on track same time as other mr2s. Also posted on the fb pages to try and get a bit more response. Im very surprised by the lack of responses this year. Its a cheap show and even though it was called japday last year it was still a good turnout. Booked with 2 track sessions (10.15 & 11.15). Assume its too late but is there any space left on the stand? No mate. Pm red devil (tony) for the club stand code.